A lovingly crafted memoir, offered with a single-minded purpose, can offer a rare opportunity to really get to know a great person through literature. In the style of the old Reader’s Digest monthly feature “My Most Unforgettable Character,” McQuillan recounts the life of “Big Philip”, who died in 2011 at 98 y/o. His colorful, witty, and wryly entertaining father will not easily be forgotten! Growing up during the Great Depression, Philip had to contend with scarcity, hand-me-downs and a dearth of education options. His older brothers and sisters had all been “guided” into a convent or the priesthood. So how did Philip become a stalwart family man and neighborhood icon? Simply…he met Jean! Philip had a passion for cooking, quoting Shakespeare and standing on his head. He could say stuff like “anything you can do I can do better” and yet remain a humble man. He had to be humble as Jean could be a hard taskmaster. He once said that his existence under her driving force was “survival of the fittest.” Not one to complain, normally he was willing to be at Jean’s beck and call. The story begins with a glimpse of his pre-Depression origins, then fast-forwards almost forty years to his colorful home life, favorite hobbies and the mini-obsessions that made him such a memorable character. Philip’s little recipes, his night job as a radio announcer, his board game “crimes” and his love for horse racing, golf and gardening all combine to paint the richly detailed portrait of a man we cannot help but grow to love. Philip Jude McQuillan was born in 1954 in Michigan. He spent his early school years in Philadelphia, PA and Vineland, NJ. After a brief career in commercial shipping, he moved to Costa Rica and spent 20 years there raising a family, teaching English and Spanish in his free time. In 2001, he returned to the US with his second family, and eventually moved back to his hometown to spend time with his father in his waning years. 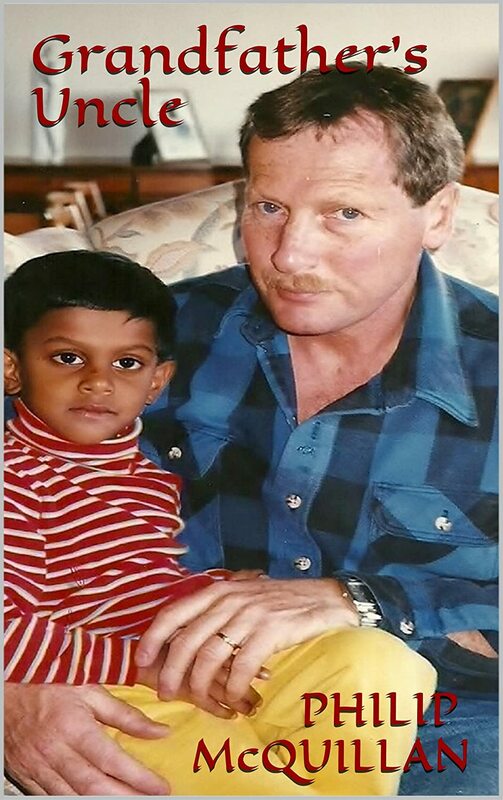 A first-time author, Philip draws inspiration from his father Philip Louis McQuillan. He encourages everyone to write about someone they knew and loved. Having passed away, their stories are sacred memories. Please do not let them be forgotten. Whether you decide to author a book of your own, or choose to add a story to his book Grandfather’s Uncle, your gain is the same— you will enrich your life and the lives of your family and friends.